Lawyers get paid whenever they win in court, or when the case is settled out of court. This is called a contingency fee. Contingency fees charged to you can range from 33% to 40% of the total settlement amount. If no settlement is reached or a judgement is not won in court, most often fees are not charged to you the client. What Types of Expenses and Fees Can I Be Charged? According to Owen, Patterson & Owen, a Santa Clarita personal injury lawyer, some lawyers choose to charge these expenses whenever they are due to be paid, but in most cases expenses are taken out of the total settlement amount. Be sure to ask if these fees are deducted before or after the contingency fee is calculated, as this can affect your final settlement amount. What Questions Should I Ask About Fee Arrangements? What percent of my award will you expect to receive? Will your percentage be calculated on the gross or net amount of the award? Will I be responsible for filing fees and case-related costs? Are there upfront fees for my case? 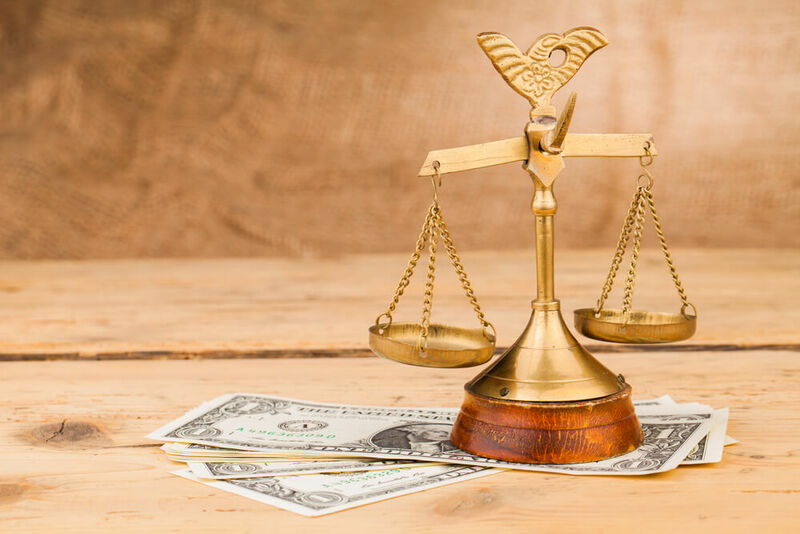 Generally, personal injury attorneys do not charge upfront fees. What is the amount of the contingency fee? The average fee for personal injury cases is 33%, or one third of the settlement amount. What Do Personal Injury Lawyers Do for Their Money? According to HG.org Legal Resources, a personal injury attorney provides legal representation for you when you have been injured in an accident or incident where another party has committed a negligent or intentional act. Personal injury lawyers work for you to obtain compensation from the other party. Since personal injury lawyers often only charge you attorney’s fees after they have secured a settlement, they investigate your claim to see if the case has merit and will result in a win for you. Depending on your case, a personal injury may need gather evidence to support your claim. This may involve police or accident reports, medical reports or medical records, bills resulting from the accident, employment documents or reports, property damage reports, and witness statements. If you speak with an insurance company representative or give a recorded statement before consulting with your attorney, this could jeopardize your claim. After investigating a claim, your attorney may send a demand letter to the company that states the facts of the case and demands a dollar amount for damages caused by the party at fault. Should the insurance company refuse to offer you a fair settlement, your personal injury lawyer may prepare a complaint against the defendant, which includes the legal arguments why the defendant is responsible, and the amount of damages that you, the client seek. Your personal injury lawyer may initiate a discovery process which involves sending interrogatories (questionnaires) to the defendant to ask for additional information. If your case goes to trial, your personal injury lawyer provides you with representation in court. Choosing the right personal injury lawyer from the sea of billboards, signs and advertisements can leave you confused about who you should hire to represent you in your case. Here are tips to help you in your search. Choose a personal injury lawyer who handles cases related to your type of accident or injury. You may want to start by asking family and friends for referrals. Talk with your potential lawyers about their past cases and how many cases like yours they have won. Trust your gut. If you do not feel comfortable with the answers provided by the attorney, or distrust their judgment, you may want to consider continuing your search. Ask your personal injury lawyer what they think about your case. How they will handle your case? What outcome they would like to see for you? Does your attorney only take cases that they can settle out of court or are they willing to go to court? How will your attorney communicate with you? How often will they check in with you? Make sure that you review and understand all paperwork the attorney gives to you. Once you sign the documents to hire your lawyer, you have entered into a contract. Ask all the questions you need to ask to be comfortable. Most personal injury attorneys work on a contingency basis. This means they don’t receive any payment for their work until your case is settled, but there are still questions to ask about the fees along the way. Ask questions about the language in your payment agreement. Ask what percentage of your settlement or recovery they will charge for their services and how they charge for any additional fees. Some attorneys may charge you different prices or an hourly rate for specific tasks. Others may charge a higher percentage for various types of cases. Be sure that you understand any potential charges and make sure you feel comfortable with that payment structure.